The accommodation consists of a number of guest rooms for volunteers including four bedrooms inside the main house. Each room has its own curtained hot and cold shower area and is equipped with a kettle for hot drinks which can be made at any time ~ although you are required to supply your own tea/coffee/milk etc although hot refreshments are provided by the Lodger at breakfast and afternoon tea periods. We can sleep up to a maximum of about 35 or so guests at any one time; when numbers are low you can choose which room you would prefer to stay in and we will only add extra people in with you once all the rooms are occupied. However you must be prepared to share when we are busy (June-August). Older volunteers would tend to have priority for single rooms and we have a few doubles which we try to keep for couples. We aim to place a maximum of four guests in any room; these are a mixture of double tier bunk beds or singles, although at peak periods six will be required to share in some rooms at some times. Please make any special preference requests such as doubles or single occupancy in advance and we will see what we can organise. 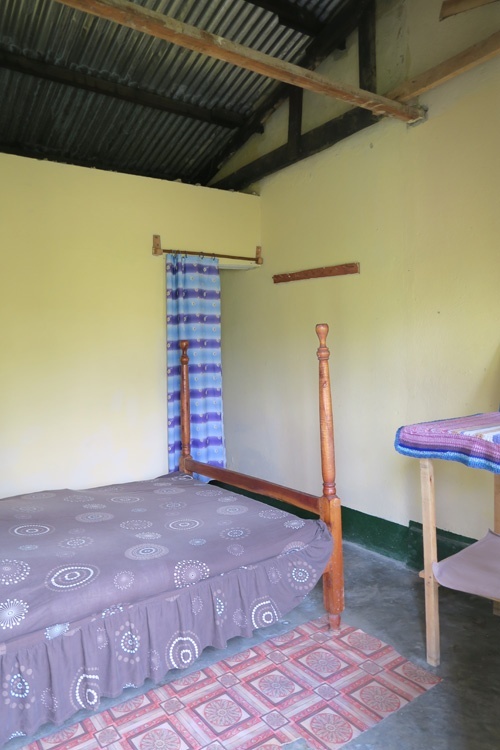 Sheets, blankets or duvets, towels and mosquito nets are provided in each room. If you bring your own duvet, please consider leaving it when you leave as this helps keep our costs down! 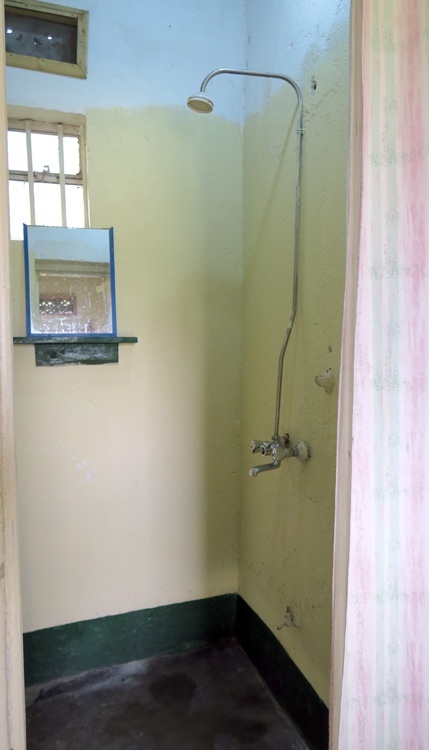 Western style flush toilets are outside the rooms, but near to the bedrooms. There is electricity at the Lodge and in all the bedrooms but occasionally it can be off for several hours at a time so we also have a generator for lighting. You can charge phones cameras and laptops etc. in your room but we suggest you take a ‘Power Surge protected’ extension lead with you. (They have a red zigzag logo on them). Plugs are same as UK – three pin 240 volts but different from USA. Rechargeable lanterns and torches are very useful but they may be cheaper to buy out there. Rooms should be kept locked when you are away from them and also lock any valuables you are not carrying on you in your main pack. Please do not allow staff access when you are not present in case you mislay something as this prevents staff from wrongly coming under suspicion.. It is probably best to take your own padlocks for door and also your bag, especially if you are sharing. Number coded ones avoid the inevitable hassle of lost keys! Security is not a problem at the Lodge and we prefer to keep it that way by taking these simple precautions. The trip with the bus to Ugandalodge is a real African experience , which I liked! I felt welcomed at Ugandalodge and the staff in the lodge was very kind. I was very thankful that I could be a few days in the hospital to see how the nurses in Uganda work. I will never forget that. The gorilla trekking and the safari were amazing! I wouldn’t change anything about it. The homecooking is also a very nice experience for the volunteers. Ugandalodge has a lot to offer and I will never forget about it. Thanks! 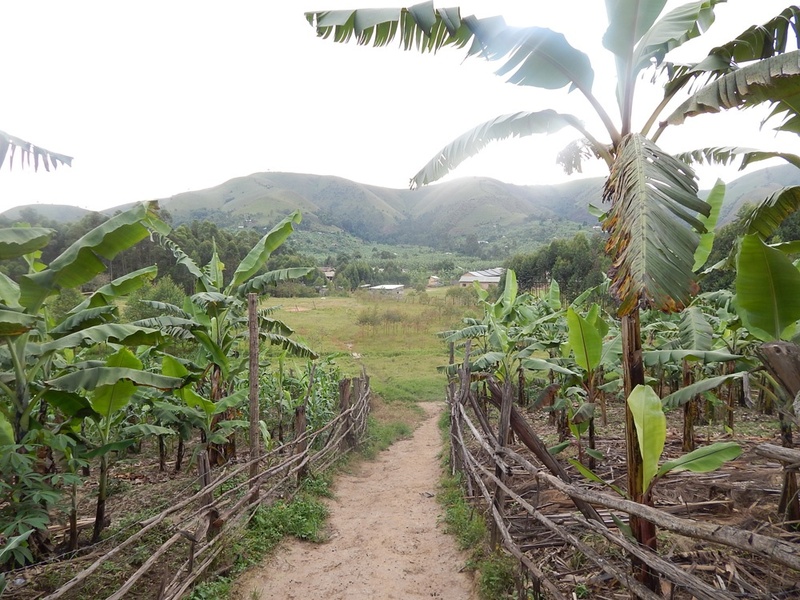 Our accommodation in Uganda is located directly on the main Mbarara-Kabale Road about 280km south west from Kampala on the eastern edge of the Kigezi Highlands. It is a beautiful rural area with a tiny trading centre a few hundred metres away and a small town 10km (a 30p bus ride) away. Nearby hills offering excellent walking opportunities flank each side of the road closely, in-front and behind the Lodge compound. 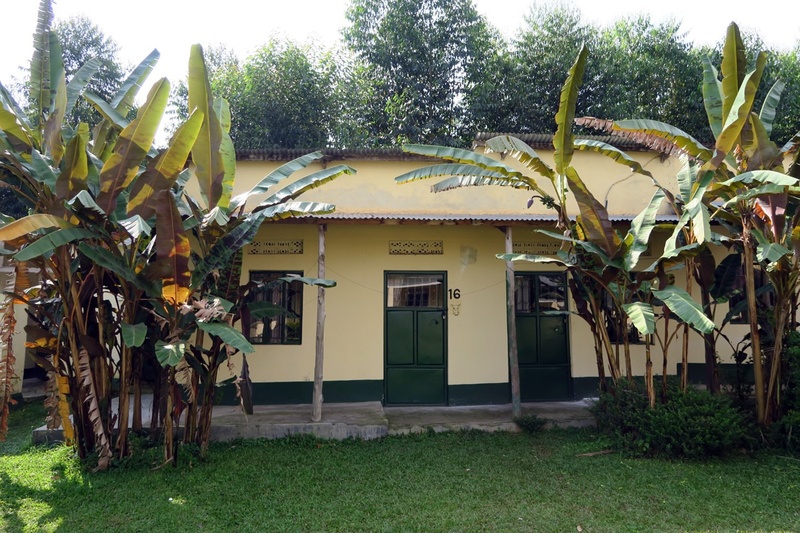 The main accommodation, Uganda Lodge, is situated on a two acre plot and just a hundred yards or so away we have several more acres where we have built the school, its classrooms, school toilets and a headmasters study. Across the road is our new health clinic. Meals are cooked by our in-house local staff. 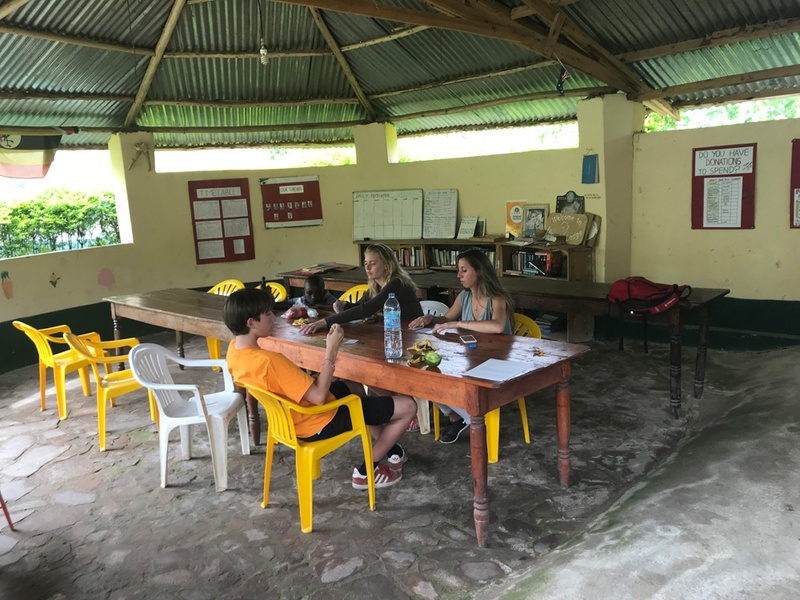 They provide three good meals a day plus afternoon tea and chapattis or bananas; meals consist of a variety of different vegetables and sauces with meat being offered just a few times a week. This is similar to traditional Ugandan diets and staff use in season available foods. At times, you may be welcome to help in the kitchen especially if you can teach new ideas and menus using locally grown products. You are welcome to purchase additional meat and luxuries like drinking chocolate, peanut butter, and Nescafe etc! For those staying longer, you might want to pop into nearby Ntungamo where the Fuelex garage has an adjoining cafe/restaurant that serves more traditional fare such as meaty chicken and chips, sausages etc. Uganda Lodge has its own well stocked bar serving both alcoholic and non-alcoholic drinks. This is open all day however please try and buy drinks whilst the staff aren’t busy preparing your meals. If you have any special dietary needs please let us know when you book. You can easily buy sachets of washing powder to wash your own clothes, especially your underwear. For a small fee you can request the staff (in their spare time!) to wash your shirts sweaters skirts, trousers and shoes. They do it so much better than us but, please, see to your own underwear!